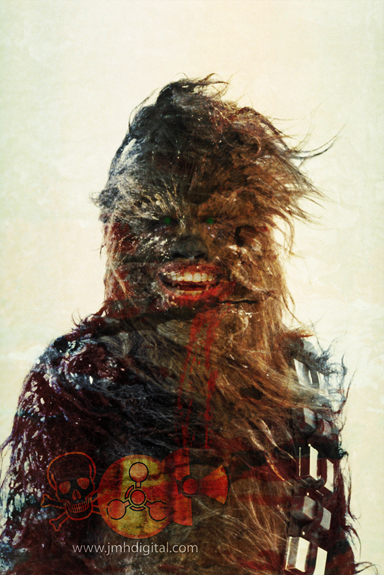 Yes, but do you know what to get a wookie for Christmas when he already has a comb??? lol... I have an old Star Wars Xmas album from when I was a kid with that song on it. He didn't need much to be zombiefied, did he? Chewbacca is making his come back. I had not seen the video before. Very funny. Off to share it with my Star Wars friends. just for those who come back... chewie's lips are miley cyrus... and he didn't have much to change out... i am glad you all liked him... maybe more star wars zombies coming.